Ahh…the name is still Bootsy, baby! And, well, a whole lot of others on this collaborative album, including Snoop Dogg, Victor Wooten, Doug E. Fresh, Buckethead, Big Daddy Kane, and many, many more. The space age funk bassist brings his low end theorems to the proceedings, and what results is an hour-long house party between friends, trading hooks and verses like inside jokes, while Bootsy and his backing band supply the libations in the form of these elastic grooves. But this isn’t just a good time, baby, it’s a movement. 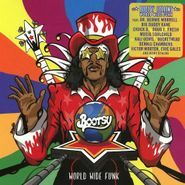 Take it from Bootsy himself, who describes the aim of World Wide Funk as “teaching people how to funk for themselves so they can bring some funk to get some. We bring them hope like dope, so not one Funkateer chokes.” If you can’t decipher that, then you are in desperate need indeed. 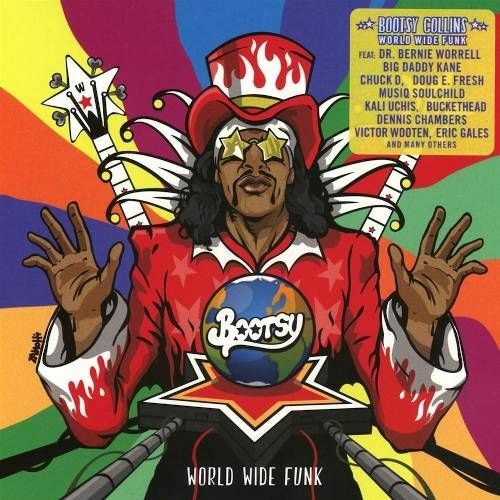 Do yourself a favor, pick up some Bootsy and get funked, pronto.